Last night, Mike and I got to go on a super fun (kid-free!) excursion in Boston thanks to the team at Marshalls. 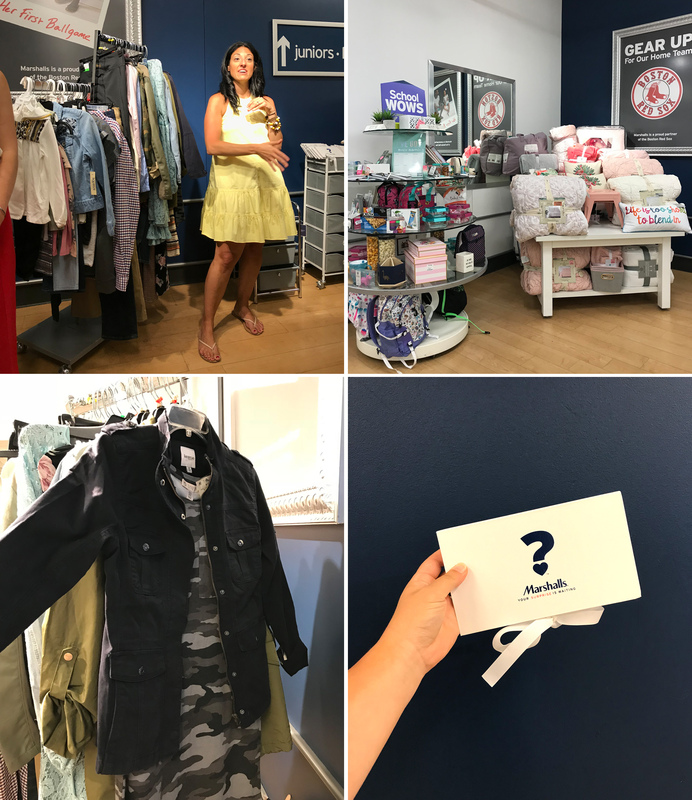 We started the afternoon off at the Marshalls Fenway store, heard about their partnership with the Red Sox, and got a sneak peek at some of the trends and products that are coming for fall and the back to school season (lots of denim, athleisure, and comfortable spins on classic autumn looks). After we heard about the trends, we actually got to shop them and explored the store for a bit. I came home with a really pretty fall blazer in a soft sage-army green with leather sleeves that I’m SO excited to wear! 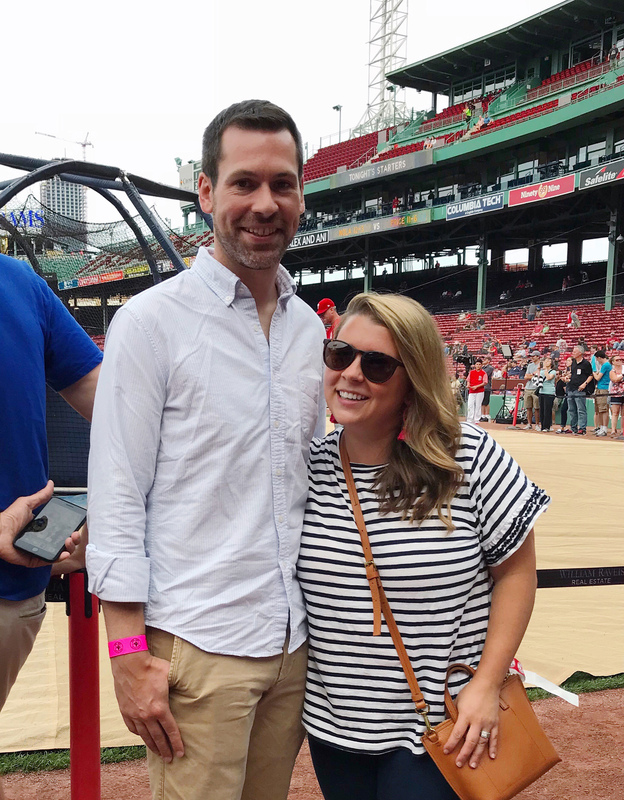 After our shopping adventure, the Marshalls team took us to Fenway park for a behind the scenes tour of the stadium. I felt pretty darn cool bringing my husband to this, after years of blogging, this was an event he was definitely excited to participate in with me! We got to stand on the field during batting practice, we spent some time up on the Green Monster, and learned a ton about the park. 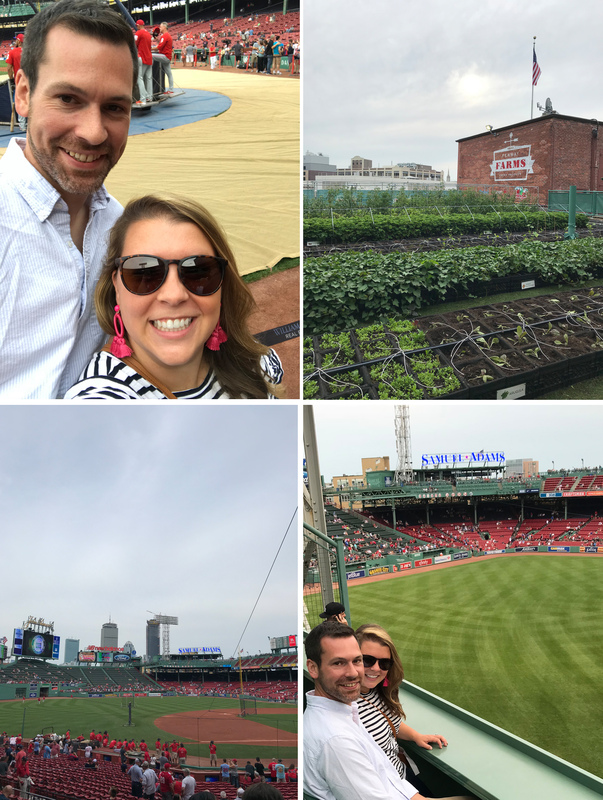 My favorite part of the tour was checking out Fenway’s roof gardens where they grow tons of fresh produce used in the park’s concessions and donate to locals in need. 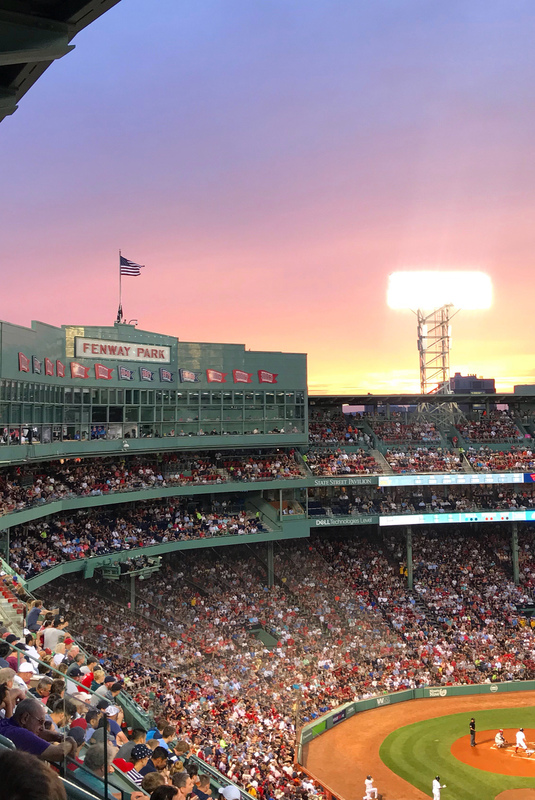 Then we got to watch the Red Sox game with some dinner and drinks on the most beautiful summer night — it was such a treat. Below are a few more snaps from our night of fun thanks to the amazing team at Marshalls! I can’t wait to head back and do some more fall shopping there soon! Please note: Marshalls hosted us for this experience; all opinions, images and content are my own. An Easy Summer BBQ Menu. Berry Rosé Granita.